A short list of books that have helped inspire and prepare us for the expedition. These books are wonderful and really bring to live the perils, history and opportunities for explorers and mountaineers planning expeditions to the region. Also provided is a list of reading material available on the Internet. The dramatic story of the first expedition to climb to the summit of Mt Minto. Greg Mortimer led a small team of adventurous mountaineers across the perils of the Southern Ocean in a tiny sailing boat, up the mighty Tucker Glacier without motorized transport and ultimately to the base of Mt Minto. 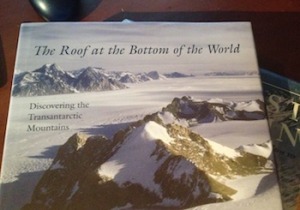 This book provides wonderful photos and an excellent day-by-day account of their expedition and challenges. 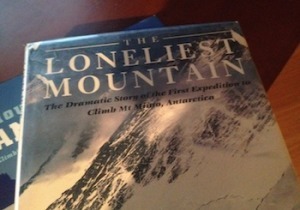 It is an absolutely must read for anyone thinking of climbing in the Admiralty Mountains. Published in 2010 this book provides an excellent overview of the major mountains and climbing possibilities in Antarctica. It contains many historical references to previous expeditions and provides insights for future expeditions. A wonderful book loaded with fantastic photographs. The author has conducted extensive research in the Transantarctic Mountains during his forty-year career as a geologist and has put together this delightful reference book providing the first fully illustrated history of the region’s discovery and exploration. It is quite fascinating to read about the early exploration of the Ross Sea region and how different it was back then. More information can be found on the website dedicated to the book. An extract from the Alpine Journal detailing Sir Edmund Hilary’s climb of Mt Herschel (published in 1968). Mountaineering in Antarctica, A Survey of Continental Climbing. 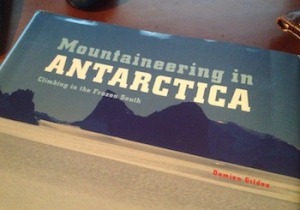 A nice summary by Damien Gildes of climbing in Antarctica (published in 1999).